Sergeant Danny Nightingale will be on trial - for the second time - at the Court Martial sitting at Bulford Military Court Centre, 1st July 2013 at 10:00 am, before HHJ Blackett, Judge Advocate General - for the background to this case see Law and Lawyers 21st November 2012. In November 2012, the Court Martial Appeal Court altered Sgt. Nightingale's sentence to 12 months detention to be suspended for 12 months - judgment of the Court Martial Appeals Court - Lord Judge CJ; Fulford and Bean JJ - 29th November 2012. 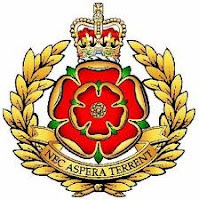 Sgt Nightingale was told he would be freed immediately and was also granted leave to appeal against his conviction on the grounds that his guilty plea had been made on the basis of unsound advice. The House of Commons held a backbench debate today (27th June) on Legal Aid Reforms. The debate may be read HERE and there is no substitute for reading it in full. The contributors to the debate generally accepted that the criminal justice system cannot be immune from cost savings but the Price Competitive Tendering model put forward in the consultation was castigated. Numerous excellent points were made including some alternative and preferable ideas for saving money. Other major concerns were: the 12 month qualification period for immigrants: the proposals to remove legal aid from most prison law matters and the attack on judicial review. There was deep concern that such a major change might be made - (as government currently intends) - by secondary legislation. 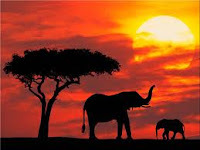 The e-petition remains important ... please consider signing it. The Daily Mail has taken up the story of a magistrate in Manchester who, so it is reported, has been pressured to resign despite an official investigation concluding that a reprimand was appropriate - Magistrate is forced to quit ... for telling drug dealer in dock how cannabis had killed her brother. When sentencing an offender for a drugs related offence, the magistrate spoke to the offender about her brother's addiction and subsequent death. 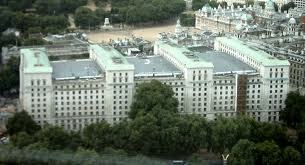 This prompted a complaint which was eventually duly investigated by the Office for Judicial Complaints (OJC) and. on 17th June 2013, a short statement of the outcome was issued. Precisely why the outcome of the official investigation did not conclude this matter is a matter for some concern. Of what value is that process if it is true that others take it upon themselves to act on their own opinions? I do not deny that government needs to save money though I seriously question some of its priorities (e.g. Trident replacement, ring-fencing of the huge overseas aid budget etc). The government's latest legal aid proposals are to be debated in a backbench debate on legal aid in Parliament on 27th June. The President of the Supreme Court has had his say; the Attorney-General appears to have concerns and says that he is trying to ensure that the Ministry of Justice (which owns legal aid policy) acts in a fully informed way. 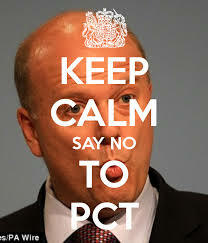 It also seems that the Deputy Prime Minister has questioned the plans. There are vast numbers (13,000 or more) responsible responses to the legal aid consultation opposing the proposals though quite a number suggest alternative ways in which money could be saved. Meanwhile, 'Justice' Ministers such as Lord McNally - (guaranteed seat in the Lords for life) - continue to brazen things out in public. 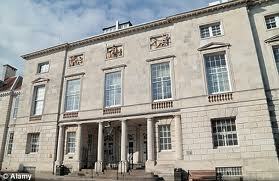 In the Crown Court at Lewes, Jeremy Forrest (now aged 30) has been convicted by a jury of child abduction. He also pleaded guilty to 5 counts of sexual activity with a child. Forrest was a teacher at Bishop Bell C of E School in Eastbourne, East Sussex. He and the girl (aged 15) - (who may not be named) - developed a relationship which became sexual and which lasted for a considerable period. The substance of the abduction charge is that they went to France on 20th September 2012 and a European Arrest Warrant was issued. They were found in Bordeaux on 28th September. In the Crown Court at Birmingham, Mrs Justice Thirlwall has imposed a sentence of 30 months imprisonment on Jaymin Abdulrahman who was convicted of causing grievous bodily harm to her then six day old baby in September 2012. The judge's concise sentencing remarks are available via the Judiciary website - (HERE). catastrophic head injuries which, according to the judge, will last for life. Human Rights ~ Remember the Commission on a British Bill of Rights? - Law and Lawyers 18th December 2012. A Library Note has been issued by the House of Lords in advance of a debate on 20th June about “the report of the Commission on a British Bill of Rights”. The Note contains a brief summary of the development of human rights law in the United Kingdom and previous proposals for a British Bill of Rights, before précising a selection of the findings of the report of the Commission on a Bill of Rights. The Note concludes with an overview of some of the responses to the report. Benjamin Curtis has been sentenced to serve 2 years imprisonment for the manslaughter of Ocean Elliott. The brief sentencing remarks of Nicol J are available via the Judiciary website - (HERE). The judge described Curtis as having learning disability and as having a limited ability to understand verbal information. Curtis pleaded guilty to manslaughter at a late stage in the proceedings but he was allowed a full one-third discount on the basis that expert evidence was required to establish a causal link between Curtis shaking baby Ocean and her subsequent death. The shaking occurred when Ocean was 14 weeks old but she lived - albeit with serious disability - until approximately age 2 years 9 months. Update 16th December 2015 - Stuart Hall has been released from prison. He has served half his 30 month sentence and will be on licence for the remainder - BBC 16th December 2015. 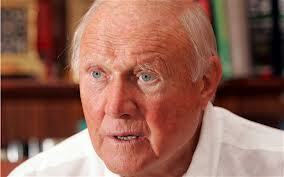 Update 11th July 2013 - the Attorney-General has referred the sentence imposed on Stuart Hall to the Court of Appeal. Sentencing offenders is a difficult legal art and not a science. From time to time there are particular cases where one is saddened to see a particular defendant in the dock but the law must be upheld. One such case is, to my mind, that of the veteran broadcaster and presenter Stuart Hall who has been sentenced to a total of 15 months imprisonment for 14 counts of indecent assault committed in the period 1967 to 1985/6 on victims in age range 9 to 17. Some of the offences involved breaches of trust. The sentencing remarks of the Recorder of Preston ( His Honour Judge Anthony Russell QC) are available via the Judiciary website - (HERE). 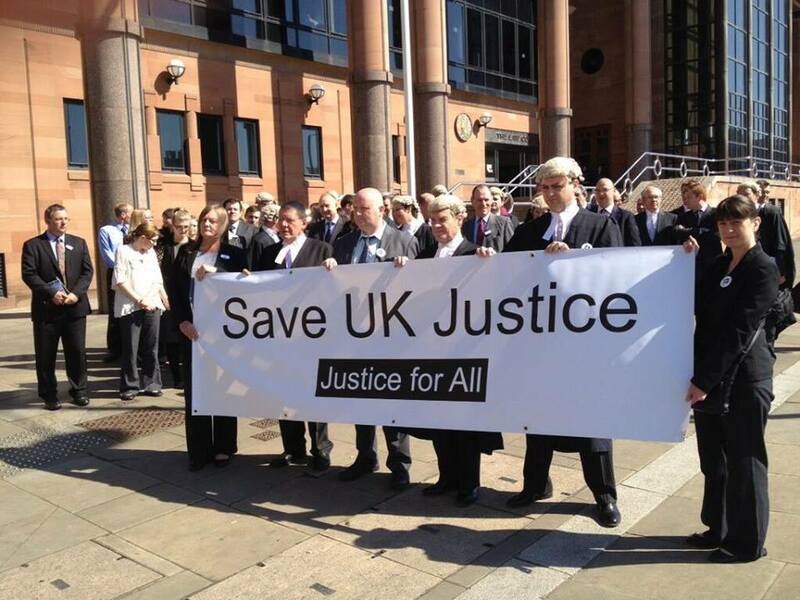 Save Justice - The government is changing legal aid! It will affect you! This explains why. The campaign against the government's proposals for Reforming legal aid continues so please consider signing the e-petition on Legal Aid. 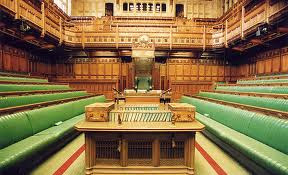 This seeks to persuade the House of Commons that a debate is necessary about proposals which will put numerous firms of high street solicitors out of business, effectively remove your right to choose your solicitor, hand public money to a chosen few private suppliers of legal aid work, and devastate the independent criminal bar. Even if you get legal aid and are acquitted, you may still have to pay a considerable contribution to your own defence. This could lead to many DIY defendants: people who feel forced to defend themselves rather than expose their savings and home to a legal aid contribution. Surely, the Secretary of State should not be simply allowed to sign this into law. Parliament must do its job and hold him to account. At the Crown Court (Preston) after a 77 day trial before Holroyde J and a jury, a sentence of imprisonment for life with a whole life term has been imposed on Dale Cregan. He is guilty of four murders (including two Police Officers in September 2012), three attempted murders and causing an explosion. Other defendants were also sentenced. The judge's sentencing remarks are here. 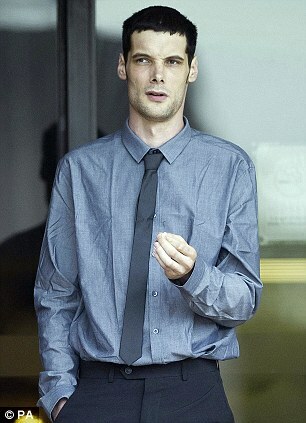 Holroyde J stated that the defendants had shown 'no hint of remorse or compassion'. Wilkinson was sentenced to life imprisonment for murder with a minimum term of 35 years. Livesey and Gorman - life imprisonment for murder - minimum term 33 years. 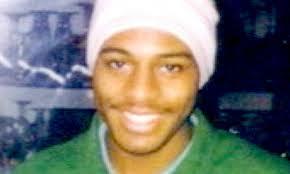 Ward - life imprisonment for murder - minimum 33 years. Ali - assisting an offender 7 years. 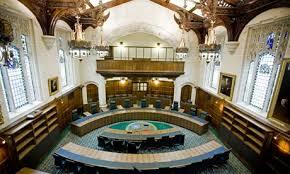 * Two cases concerned with prisoners and voting have been heard in the Supreme Court of the UK - R (on the application of Chester) (Appellant) v Secretary of State for Justice (Respondent) and McGeoch (AP) (Appellant) v The Lord President of the Council and another (Respondents) (Scotland). See Prisoner Voting: Murderers challenge ban - BBC 10th June 2013. 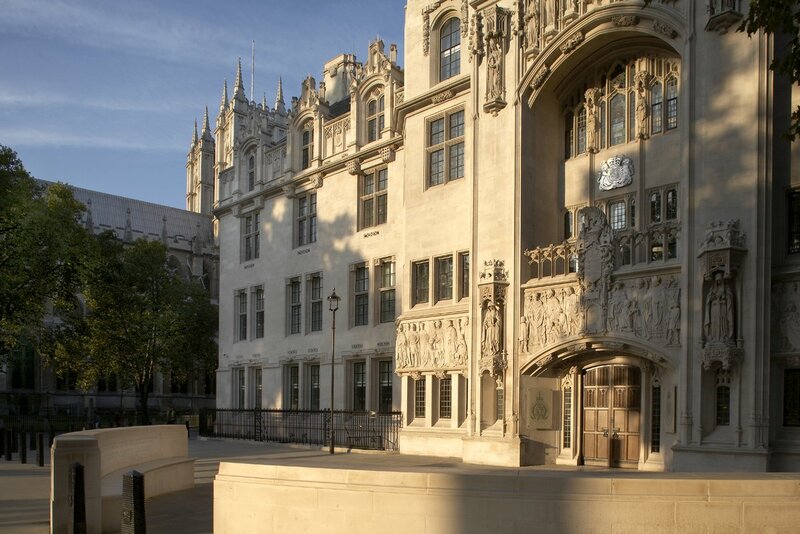 * Three Supreme Court judgments were handed down on Tuesday 11th June: In the matter of B (A Child) - (Youtube); Petrodel Resources Ltd v Prest - (Youtube); Ust-Kamenogorsk - (Youtube). For a view of the Petrodel case see the article by Chris Bryden (barrister at 4KBW) - Solicitors Journal - Prest: transfer of assets to corporate stuctures will be harder to challenge. * The 8 year prison sentence imposed on Sarah Louise Catt has been reduced to three and a half years - The Guardian 12th June 2013. Catt was sentenced for procuring a miscarriage - Offences against the Person Act 1861 s.58. Law and Lawyers considered the case at the time and formed the view that the sentence was too high. 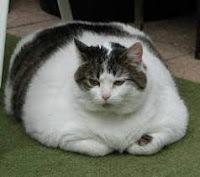 Yuppy, beady-eyed crowds; Fat Cats and Moggies! Wednesday thoughts. Updates 16th June *** Mail on Sunday corrects daily's legal aid sums *** So that league table of supposed greed is selective bunk. Like many nations, the UK has been hit by the general economic crisis. It is generally accepted that there is a need to save considerable sums of money and it is for government to identify ways in which the money might be saved. Most areas of government are having to take cuts and the decisions needed are not easy. We all wish to have good health care, fine schools and many other things including access to justice with legal aid for those who cannot afford it. Having said this, we have a government maintaining a militaristic foreign policy which does not seem to baulk at replacing the ageing Trident programme - £100bn a considerable underestimate? Neither does it seem to worry about the huge 'ring-fenced' overseas aid budget even though government borrowing remains high. In addition, huge sums of money have been doled out to various private sector service providers - see Ministry of Justice contracts for 2012 . *** Please sign the e-petition on Legal Aid - the aim is to try to persuade Parliament to debate the Ministry of Justice plans to slash legal aid. Why should any Minister be allowed to seriously alter the rights of the British citizen just by stroke of his pen? It beggars belief that any elected British government could put forward proposals so damaging to justice for the citizen as those in the Ministry of Justice consultation. 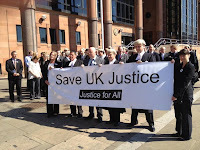 "Last week, the government last week closed its hurried consultation on cuts to the £2bn legal aid budget. Few proposals have met with a more unified opposition among lawyers than the suggestion that £220m can be saved by introducing a system of price competitive tendering (PCT). This would see defendants deprived of the right to choose a defence lawyer and the number of criminal legal aid firms cut from 1,400 to 400. 'Value Added Tax' is disliked by most end-of-the-line consumers but it is a major 'earner' for governments. In the UK, it was introduced in 1973 following entry to the European Economic Communities (EEC). From 4th January 2011, the coalition government increased the rate to 20%. Some things (such as 'food') are 'zero-rated' so there is VAT in theory but not in practice and it is, technically speaking, open to government to impose a rate. More details of VAT are at HM Revenue and Customs (HMRC). From a business viewpoint, where the 'registration threshold' is exceeded, a supplier of goods or services has to register for VAT and, in other cases, a business may apply for voluntary registration. Registered businesses account to HMRC for the difference between output and input VAT. Consider a business (B). Output VAT is that which B collects from sales of its business output. Input VAT is that which B has to pay on its purchases (i.e. 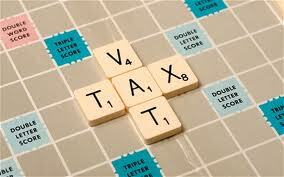 input to the business) - see HMRC - How VAT is charged and accounted for. The difference between output and input has to be accounted for. Clearly, if output exceeds input then B has to pay the balance to HMRC. Conversely, a claim may be made to HMRC. Legal Aid - The Ministry of Justice received in the region of 13000 responses to their Transforming Legal Aid consultation. 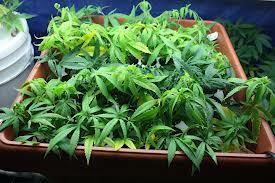 Many of the responses are from bodies and practitioners with immense experience in the legal world. Links to a sample of such responses are on the earlier blogpost. 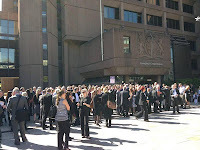 On 4th May, a protest at the Ministry of Justice was addressed by several speakers including excellent speeches from Dinah Rose QC (a declaration of a lack of interest), Michael Fordham QC (the avocado of justice) and Geoffrey Robertson QC (there is a hidden agenda) - have a look at Head of Legal blog. 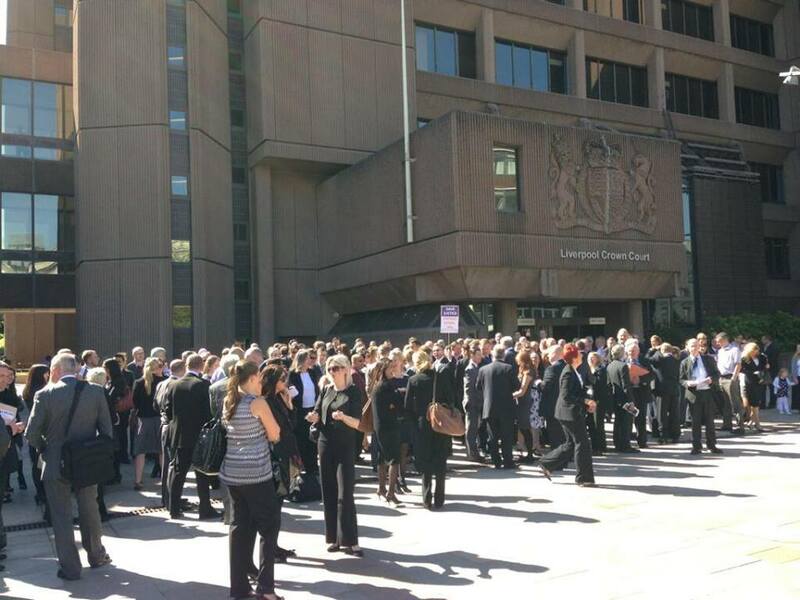 See also Garden Court Chambers blog - Speech of Stephen Knafler QC. At this stage, it is possible for the Ministry to rethink their proposals given the overwhelming evidence that immense damage will be caused to justice should they bulldoze ahead and simply go for implementation. The Ministry should rethink and engage with the legal profession and others to see where savings can be made without destroying the very fabric of justice for the citizen. 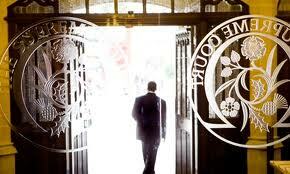 The MoJ is also beginning a full scale review of the legal services framework - Solicitors Journal 5th June. 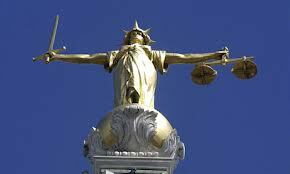 Under government proposals, criminal legal aid will be severely curtailed - Money, money, money ... just where is Justice heading?. and 'The real 'scumbag criminal' is still free ~ A matter at democracy's heart'. The government's consultation ends on 4th June - see the consultation here. 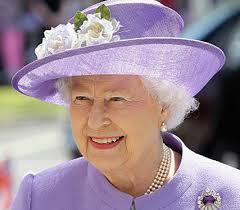 2nd June is the 60th Anniversary of the Coronation of HM Queen Elizabeth II. The BBC has had the original footage digitally remastered - see here and the The Coronation of Queen Elizabeth II may be viewed on BBC Parliament from 1010 BST on Sunday 2 June.